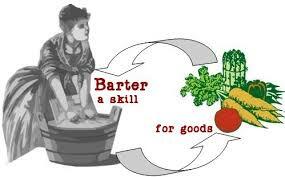 Bartering (A True Story from my Book, "Rescue the Stories Book Two"
Trade, exchange, negotiate, haggle these are words used to explain that bartering is simply giving and receiving. We had a friend, from our church, named John, who would often ask my husband to help him in his enterprises. John had two brothers and two sisters. Their mother was a widow, so the five young children gained work after school and week end jobs to help the family budget. The boys in their teens would take on painting work, the girls baby sitting, or selling products. John later became a baker working in a bakery at night. This gave him freedom to earn money in other ways during the day. One day John asked my husband to help him purchase small trailers and fix them up. I had some drapery remnants and sewed some curtains for the windows, and Robert painted the insides. John would place the trailers in a friend’s mobile home park, and rent them out. World War II military men were especially happy to have a reasonable priced place to house their family as they were shipped out over seas. John began to save his money and purchase houses in his neighborhood for low down payments, and the rent would pay for the mortgage. Some of the houses were from Estate sales, and often there was furniture or other items left in the homes. John asked Robert to help him paint inside the homes prior to renting them. One year John sold Christmas trees and asked my hubby to lend a hand. For all the labor, we did during several years; we did not receive any monetary gain. However during that time, John helped us paint inside our home that was for sale; he gave us a Christmas tree, an older Cadillac car, an upright piano, and a 30 year old dining room table and six matching chairs. John noticed that we were using a picnic table and benches for our dining room, and I suppose that is why he decided to give us the beautiful table made from maple wood. While at first I did not appreciate my table, I learned to be rather fond of it, and to enjoy the fact that the two end extensions would enable us to serve a large group of family and friends. Bartering is often something done between club members, or between friends. There are bartering groups that trade professional services for a variety of other services. God was the Apex of bartering, when He proclaimed, I will give the World my Son to save them from their Sins, and I will ask in return that they will give me their life. That is quite an exchange; our old sinful life in exchange for His new Eternal Life. John 3:16 "For God so loved the world, that He gave His only begotten Son, that whoever believes in Him should not perish, but have everlasting life. I smiled reading this Aunt Hazel. Life is not all about doing things for monetary gains! It is a blessing reading this because I shared with my husband a similar experience I had early this morning. It is good to help others out not necessarily because we have something to gain but because we really want to help those people out. I appreciate you dear Aunt Hazel. What a beautiful story. I like the idea of bartering and of blessing those around us with what we are able to give. I am thankful for a group of friends that gives freely of their time and talents. I think a lot of bloggers do an informal type of bartering too. We don't negotiate a trade, but we do freely give and receive from each-other. I think this is one reason I enjoy these blogging communities so much. Thank you for another great link-up. What a great story too! I kinda miss that old bartering system. It speaks to me of a time when neighbors and friends helped each other out more. 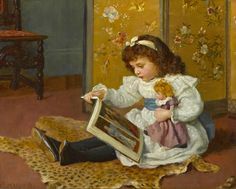 In this current culture, it seems that we're all seeking to accumulate things, but not always as cognizant of giving our time and energies to help others. Couldn't agree more that the "Deal of a Lifetime" is what God made happen. The Son, the Cross, for our salvation. Our lives, our surrender, for eternity. Yup, we are definitely the winners in that trade!! I remember this story. I love it! Great experience for you guys and wisdom of the reminder of the greatest Barterer of all.